TOASE | Meredith, Bryn D.
Bryn was born in Nyon, Switzerland. Before joining the firm, he worked as Assistant City Attorney for City of Corpus Christi from 2000-2001. 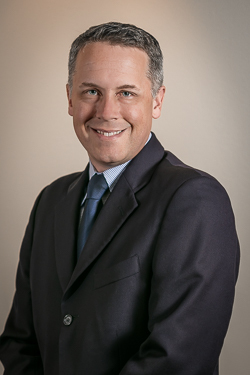 His primary area of practice is municipal law and is currently serving as City Attorney to the cities of Flower Mound, Annetta North, Maypearl, Saginaw, Dish and Weston. In addition, he provides sophisticated guidance on all municipal oil and gas matters in the Barnett Shale including conducting Town Hall meetings as well as drafting, editing and amending mineral lease agreements for many of our clients. •“H.B. 40: Implementation Challenges Webinar,” Texas Municipal League Webinar, April, 2018. •“Between a Gas Rock and a Hard Place,” UT Law Land Use Conference, April, 2017. •“HB 40: What the Oil and Gas Bill Means for Cities,” Texas Municipal League Conference, October 2015. •“HB 40: What the Oil and Gas Bill Means for Cities,” Texas Municipal League Webinar , October 2015. •“Drilling Uncertainties: Gas Drilling and the Uncertainties for Texas Communities,” Annual Texas State Planning Conference, October 2014. •	Gas Drilling Town Hall Presentation, Southlake Town Hall, March, 2011. •	“Local Government Regulation of Oil and Gas Operations in a Shale Play,” for Short Course on the Law of Shale Gas Plays - June, 2010. •	Municipal Regulation of Urban Drilling,” for Texas Wesleyan Urban Gas Drilling Symposium; March, 2011. •	Author, “Gas Pipeline Litigation – The New Frontier”, PowerPoint presentation for Texas Wesleyan Urban Gas Drilling Symposium; March, 2010. •	“Current Issues and Hot Topics for Shale Gas Development,” for Sixty-First Annual Institute on Oil and Gas Law; February, 2010. •	Author, Regulatory Takings of Mineral Interests and the “Parcel as a Whole,” for Sixty-First Annual Institute on Oil and Gas Law, February, 2010. •	Municipal Regulation of Gas Drilling,” for American Planning Association, Texas Chapter, Annual Conference; October 2009. •	City Attorney Panel,” Texas Wesleyan Urban Gas Drilling Symposium; April, 2009. •	Got Gas? : Drilling for Natural Gas in Your Community and in Your Park System,” for Texas Recreation and Parks Society Annual Conference, March 2006. •	Author, “The Real Estate Developer Meets the Gas Producer: A Brave New World,” for Development Issues & Conflicts in Modern Gas and Oil Plays, 2004.